Halo Halong Pinoy: New GILAS Naturalized Player - Denzel Bowles or Michael Dunigan? 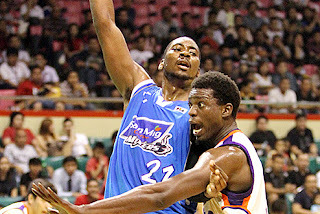 New GILAS Naturalized Player - Denzel Bowles or Michael Dunigan? SBP president Manny V. Pangilinan said he’s leaving it all up to Gilas Pilipinas National Team Coach Chot Reyes on who he has in mind as candidate for naturalization. Reyes earlier said on his Twitter account @coachot that he has both Dunigan and Bowles on his short list of prospects as possible naturalized player after Marcus Douthit.